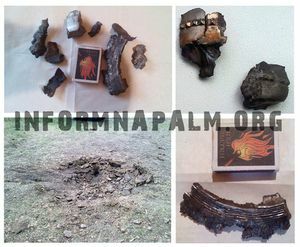 #Ukraine volunteers collected evidences that RU/pro-RU fired at #Kramatorsk residential area. the rebels do not have artillery – except for light mortars and maybe two GRAD trucks. no heavy weapons have arrived from Russia. Ukrainian forces are constantly shelling civilian areas – thet is where the rebels are. What would be the point? The Ukrainian forces are in the open fields outside of cities. This page was last edited on 19 June 2014, at 06:01.